Pesada Painting has been serving Southern Ontario since 1975. Among companies with teams of industrial painters, Pesada Painting reign supreme. With 40+ years of industry experience, a fully dedicated staff and competitive industrial painting rates, we are in a position to handle any sized project. Pesada Painting accurately estimates, strategically plans and expertly executes commercial, institutional and industrial painting projects all across Ontario. In Ontario, Pesada Painting are the industrial painters of choice. 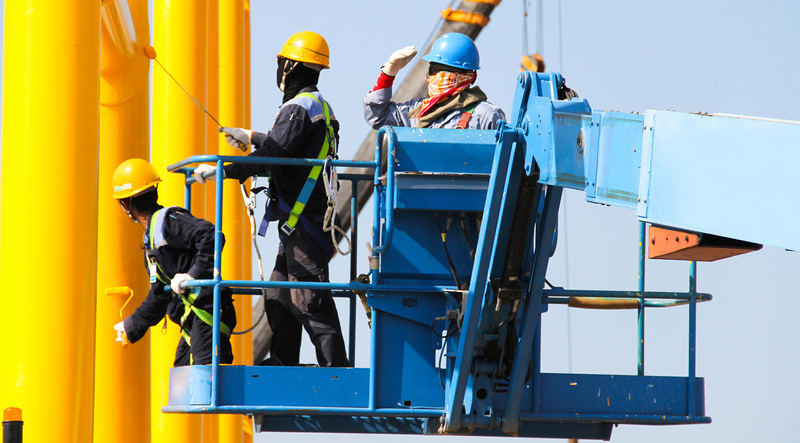 All of our employees are bondable, fully insured and well trained in regards to the rules & regulations of workplace safety. Although there are a number of commercial and industrial painters in Ontario, you will not find a team as committed to improving the visual appearance of your business as us. We make it a point to promote preventative measures for both industrial and institutional clients such as periodic coating, regular painting and exterior wall sealing. We are a dedicated team of professional painters with over 40+ years experience in commercial, institutional and industrial painting. Kitchener, Waterloo, Cambridge, Brantford, Paris, Guelph, New Hamburg, Stratford, London, Woodstock, Milton, Oakville, Mississauga, Hamilton, Grimsby, Caledonia, Sarnia, Woodstock, Brantford, Owen Sound, Collingwood, Barrie and Southern Ontario. Industrial Painters Ontario website is a property of Pesada Painting that has been providing industrial painting in Ontario for many decades.